For more than ten years, Good Ol’ Girls has empowered progressive women in the Bay Area through outreach, education, and mentorship. This year alone, we've hosted five professional development workshops, a documentary film screening, and monthly happy hours in partnership with local nonprofits. We've also started a "Reading For the Resistance" bookclub, relaunched our member directory, and shared hundreds of job postings and events through our email list serv. We couldn't have done it without the passion and commitment of our members and the larger community of progressive women throughout the Bay Area. Join us in celebrating female leadership and all that we've accomplished together over the last decade. This year’s anniversary party will feature a panel of female leaders discussing how to make the women’s movement more inclusive. Moderated by Karen Topakian (Greenpeace Inc.), panelists include Cecilia Chung (Transgender Law Center), Dr. Glenda Newell-Harris (The Links Incorporated), and Sameena Usman (CAIR). Creating spaces for ALL female identifying persons to come together to learn from each other and take action is more important now than ever. Don’t miss this opportunity to get inspired and meet other courageous women. Food and drinks will be provided. Sameena Usman serves as the Government Relations Coordinator for the Council on American-Islamic Relations, San Francisco Bay Area Chapter, where she works with elected officials in advocating for impactful legislation, connects them with their constituents, and provides information about the Bay Area Muslim community and their concerns - including civil rights issues. Through her work, she actively builds bridges with various communities and conducts interfaith dialogue. Sameena has been interviewed by numerous media outlets to highlight issues for the American Muslim community. Sameena was awarded the API Heritage Leadership award by Congressman Ro Khanna and Community Hero award from Assemblyman Kansen Chu. 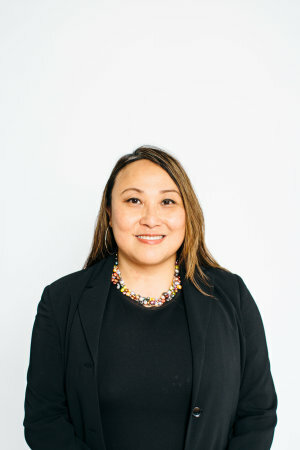 Cecilia Chung, Senior Director of Strategic Projects for Transgender Law Center, is nationally recognized as an advocate for human rights, social justice, health equity, and LGBT equality. She was the former Chair of the San Francisco Human Rights Commission and is currently serving on the Health Commission. Cecilia has been working tirelessly on the local, national and international levels to improve access to treatment for transgender people and people living with HIV, and to erase stigma and discrimination through education, policy, advocacy, and visibility. Glenda F. Newell-Harris, M.D, is the national president of The Links, Incorporated and The Links Foundation, Incorporated. She is a board-certified physician in internal medicine. Having served as a local health commissioner, as well as president and secretary of local and regional medical societies, she is a much sought after speaker for youth groups and non -profit organizations that mentor pre-med and medical students. Dr. Newell-Harris has served as a medical consultant in various healthcare settings, such as ambulatory teaching clinics, private practice and physician foundation clinical practice. Karen Topakian currently works as a writer, communications consultant, public speaker and activist. Her career path includes community organizer, director of a college Women’s Center, Greenpeace nuclear disarmament campaigner, foundation director and now founder of Topakian Communications, a freelance writing and communications consulting business, serving nonprofit social justice organizations. She brings almost 40 years of nonviolent social change experience to her position as the chair of the board of directors of Greenpeace, Inc.
She earned her BA degree in Sociology and Theater from Clark University and her MFA degree in filmmaking from the San Francisco Art Institute. Since 2012, she has served as a film screener for the San Francisco Green Film Festival. She also serves as a member of the SPIN Academy advisory board. For more than three decades, Karen has participated in more than 30 nonviolent direct action protests against militarism and nuclear weapons and to protect the environment. Most recently, in January, she participated in a Greenpeace protest – hanging a banner that said RESIST behind the White House.